Home > Latest Trends > Watch Capt. 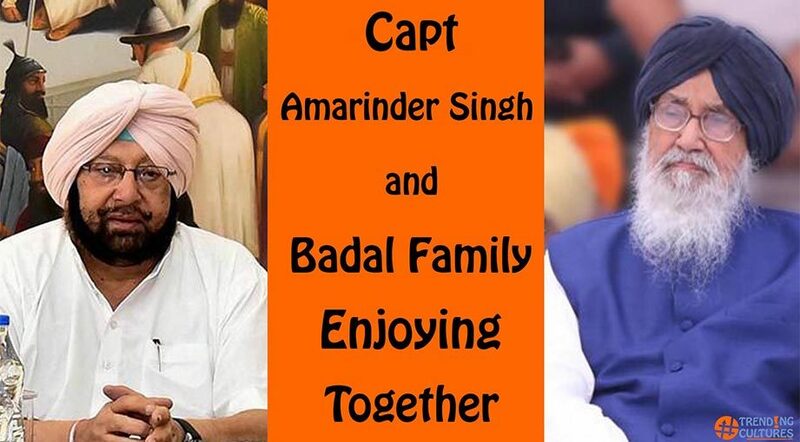 Amrinder Singh and Badal Family Enjoying Together. Politics is a dirty game. You must have heard this line once in your life and therefore not everyone can be a politician. Fake promises, viral controversies, Life threats and what not to be a successful politician. People have very low patience level these days and therefore they get bored from one thing easily and expect more from other. this is the place where politics revolve around. Punjab Politics is no different from others. Influenced by two big families, Capt. Amrinder Singh and Parkash Singh Badal, they never loose a chance they get to speak against each other on any stage. But in this video you will see how they live behind all this. How their families do get together and enjoy.